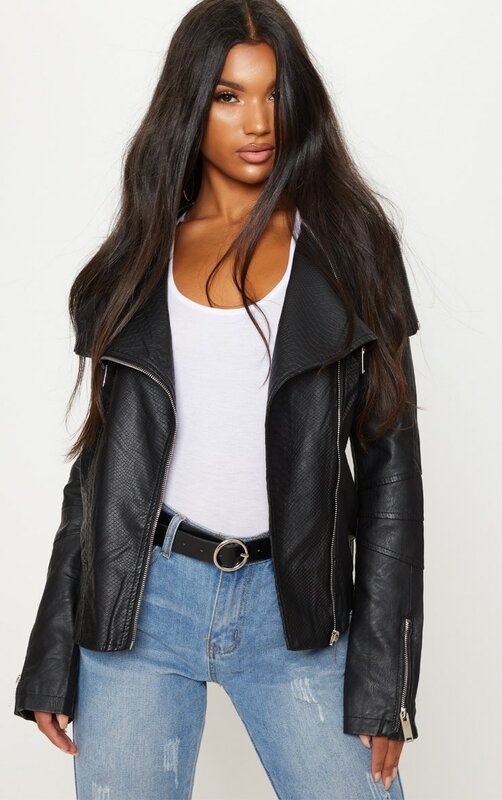 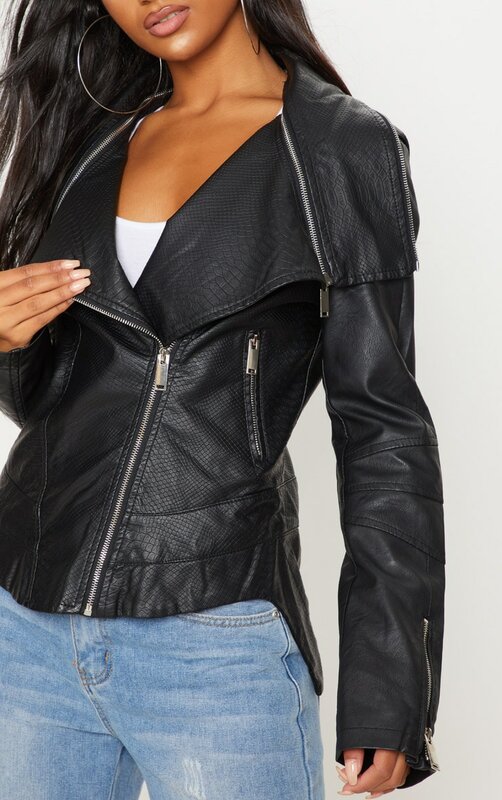 We are crushing on this killer biker jacket to complete your OOTD. 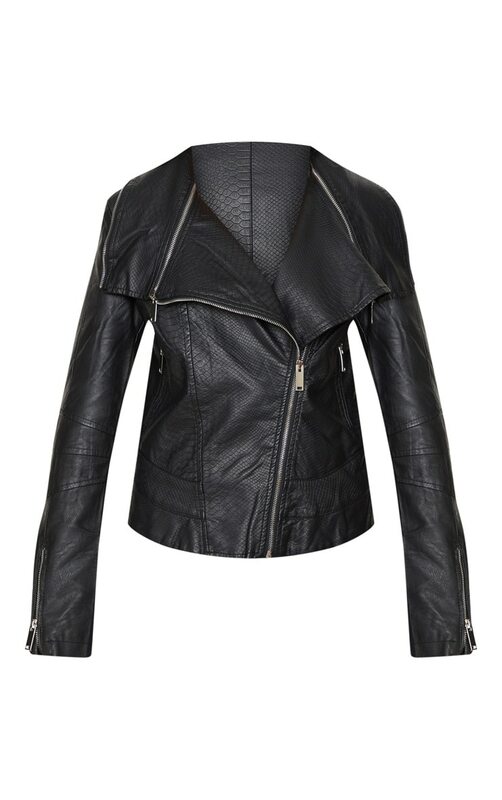 Featuring a black faux leather material with zip details, and flat collar design, what's not to love? 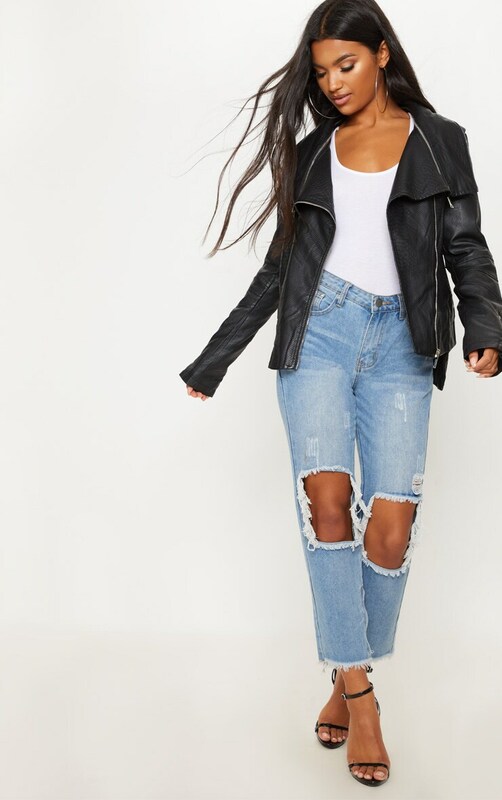 Finish off the look with a white bodysuit and jeans and faux leather sock boots for the ultimate look.